Samsung is bringing BBM, the BlackBerry Messaging app, to Galaxy phones, or so says a curious press release. BBM for Android recently entered into beta internally at BlackBerry, and it seems users of the Galaxy S4, Galaxy S3 and other Galaxy smartphones will soon get their hands on it as well. That is, if they live in Africa, the only region so far confirmed to be getting the app. The press release, picked up by N4BB provides just a measly "soon" in terms of release date for the free app in the Google Play and Samsung App stores, though a BlackBerry exec previously hinted that it will arrive by the end of September. BBM is BlackBerry's proprietary messaging service, previously only available for communication between BlackBerry users. With BlackBerry 10 it also gained the ability to make video calls. BBM for Android coming to Samsung's popular Galaxy phones is great news for BB10 adopters who are sick of counting texts when communicating outside their little bubble. That said, it would be nice if the app arrived outside of Africa, too. 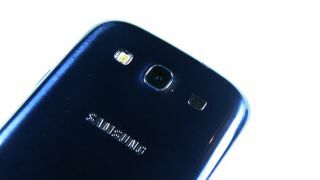 TechRadar asked Samsung whether the Korean company can share its plans to that end, and we'll update if we hear back. This reminds us - wasn't there supposed to be a BBM for iOS app? Is cross-platform BBM really a good idea for BlackBerry?